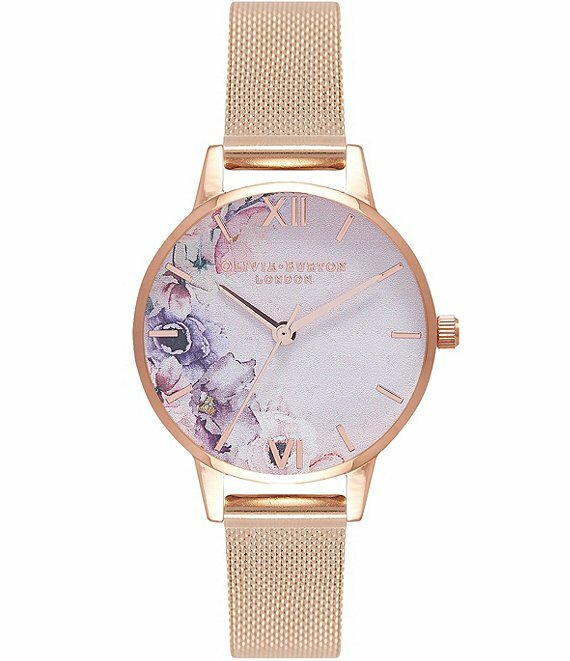 Delicate watercolour effects (think soft brushstrokes and painterly hues) meet the prettiest floral motifs for this midi dial timepiece. Its 30 mm-wide dial is housed in a luxe rose gold-plated case and accented with matching metallic markers, including Roman numerals at 6 and 12 o'clock. A mesh strap takes its sleek factor to the next level.